The only surviving remnants of this play are contained in an Eighteenth Century acting version. From this, and the knowledge that the original was based on Don Quixote it has been possible for Mr John Phillips to reconstruct the play in a form which he believes to be much after the style of the original, which appeared in 1613. It seems likely that the Eighteenth Century version was based either on the MS possessed by Moseley or a copy of lt. In this artificial and agreeable Jacobean pastoral play all roads wind up a hill well stocked with shepherds. There the victims of the passionate Don Fernando meet by chance and commiserate with each other, Dorothea, the girl in Ganymede's garb, and Cardenio, lamenting his lost Lucinda. There Don Fernando brings that luckless lady, lately abducted from a neighbouring nunnery. There appears the noble Duke, his father, to restore the rightful partners to each other. Someone or other was sure to steal so suitable a story from Shelton’s English version of Don Quixote to make a play for the King’s Men, which was acted in 1613, and someone else was sure to say sooner or later that it was Shakespeare. Forty years on he was hailed as joint adaptor with Fletcher, and this attribution is adopted by Northampton Drama Club for this week’s attractive revival of the old play. After another 75 years Shakespeare alone was accounted the author, by Theobald, who nevertheless felt it incumbent upon him to “revise and adapt for the stage” what rude genius had roughed out. Theobald’s Double Falsehood - he has been unkindly complimented on an apt title - is all that survives and Mr John R. Phillips has tried to tear away the trimmings and give, as nearly as may be, a clear view of the old play. Minor irregularities are exposed, which might be the results of Theobald’s tinkering, but on the whole a pleasant and pretty play emerges. We hear no echoes of Shakespeare’s woodnotes wild, or even anything that must inevitably be Fletcher’s. Massinger and Shirley have been tipped as possible starters and, on this showing, they still seemwell placed in the field of possible authors. At any rate, Cardenio was the work of a Jacobean poet-dramatist of no mean ability and no small sense of the stage. Some five years ago the Northampton Drama Club, now well past its majority and with Sir Gyles Isham as its president, acquired a small boot-polish factory in Thenford Street and converted it into an intimate and comfortable little playhouse and club, the Masque Theatre. With a strip of forestage, curtained proscenium doors which slide in and out, neat scenery on revolving panels, diagonal traverses for a triangular interior and excellent lighting, the traffic of the play runs smoothly through without interruption, but for a set interval, in under the traditional two hours. 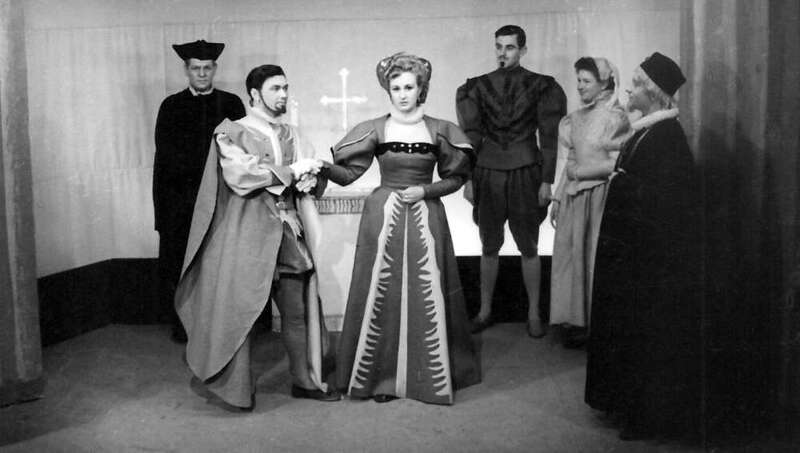 The handsome costumes - which, like the scenery, are designed and made by the Drama Club themselves, are well above amateur, to say nothing of some touring professional standards, and the play is spoken with good accent and discretion. It is hardly the fault of the producer, Miss Joan M. Fisher, or of Mr Brian Rabbitt and Miss Patricia Orton, as Cardenio and Lucinda, if the other plot, that of Don Fernando and Dorothea, overtakes the hero and heroine, who are obliged by the author rather to suffer than to act. But Miss Mary Wilson, in a most likeable performance, and Mr Geoffrey Brightman, who brings an admirable bravura to the dastardly Don, seize their opportunities to the full. Mr. Phillips, who acts a small part in his adaptation, and the Northampton Drama Club, must in any case be congratulated on their enterprise in staging the first modern revival of an old play that proves well worth their while and might merit attention from the Mermaid Theatre or Mr Donald Wolfit. But the way in which it is brought off shows this to be one of the now all too few little theatre groups whose value is out of all proportion to their size. It is a small point, but indicative of their quality, that even at such close quarters the make-up of every member of the company is impeccable. 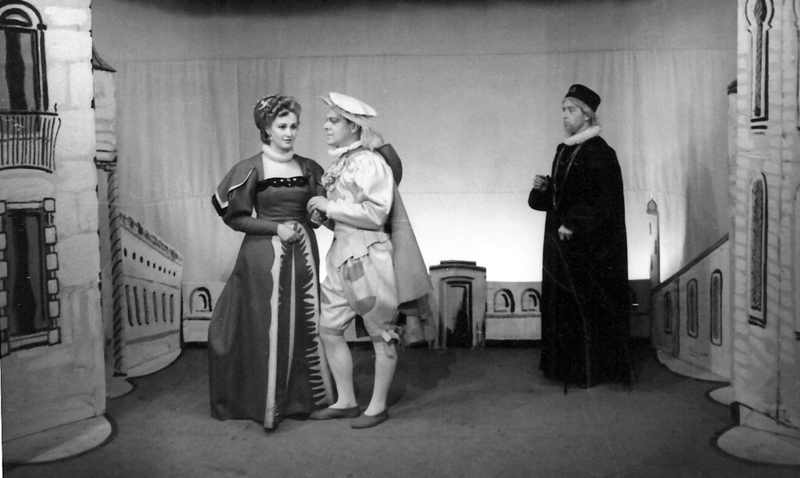 NOTE: A press strike began on 25 March 1955, three days before the first performance of Cardenio. This article, written by Roy Walker, Specal Correspondent of The Times, was unable to be published because of the strike. A copy of Mr Walker's report was later sent to the Northampton Drama Club.